Everyone see's athletes as they perform their sport. Rarely are they ever seen out & about in the community. Venus Williams was spotted in LA at her book signing. Her book is titled, 'Come To Win.' The launch party was held at Geisha House and Los Angeles Confidential Magazine. 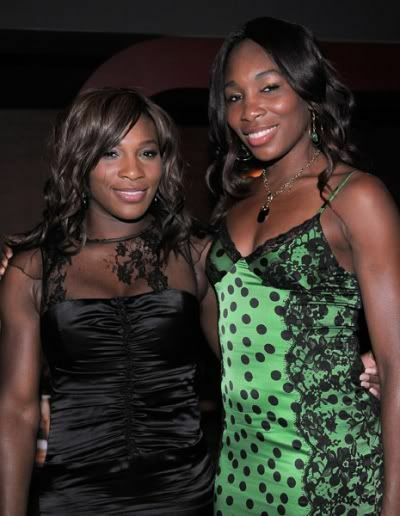 Venus, her sister Serena, and Selita Ebanks were some fab YBF celebs who attended. 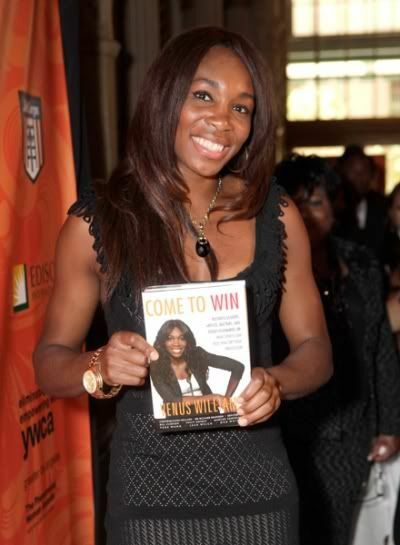 Venus was also honored by the YWCA of Greater Los Angeles. She was presented with Phenomenal Woman of the Year. 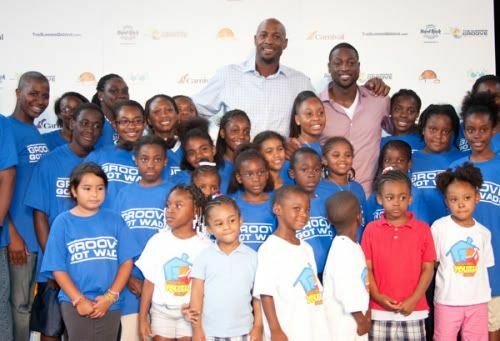 Former Miami Heat player Alonzo Mourning attended the Summer Grove media update at the Overtown Youth Center in Miami. 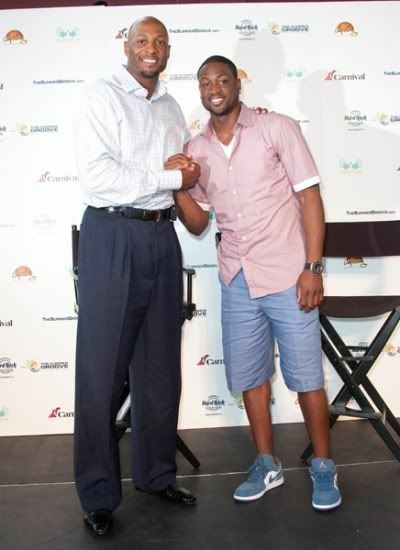 Present Heat player Dwayne Wade joined him there. Guess Serena had to wash Of ALL of that Makeup she had on the other night which made her FACE and Nose look MUCH nicer than what it really is! Here in these photos you can see the Difference. WOMP! LOL @ the lil boy in the front row turned ALL the way around. Aw Serena looks nice from the knees up. And so does Venus in the shot where she's holding the book. Ya'll need a proofreader up in here though with the random sprinkling of apostrophes. Umm Considering Alonzo Mourning is the Vice President of Player Programs and Development...and was apart of the meeting to whoo Lebron - I say he is pretty happy....What is going on with the weird writing today? What's up with the stockings and sandals Serena? Not feeling none of these dresses! Im sure Alonzo loves Lebron's decision to join the Heat...he was there in Cleveland when the Heat gave their pitch!